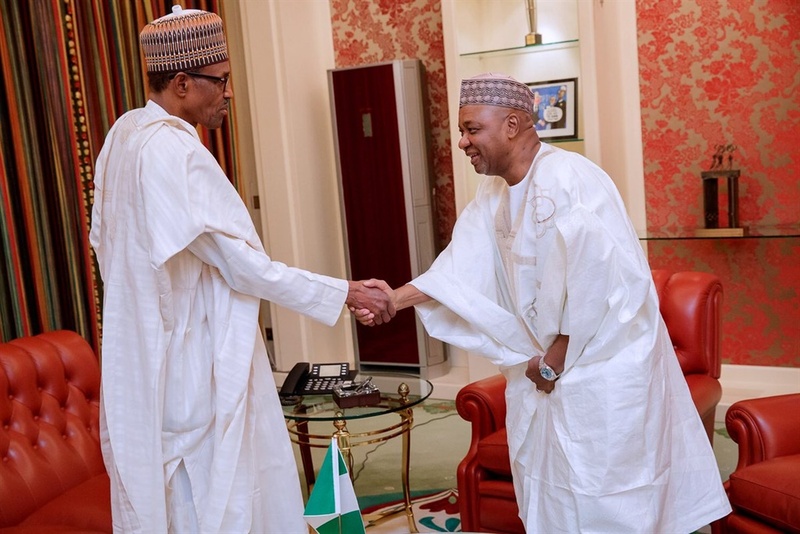 Former Vice President Namadi Sambo on Tuesday paid Aso Rock villa an unexpected visit . He later held a closed-door meeting with President Mohammadu Buhari, his vice Yemi Osinbajo. Personal Assistant to President Buhari on New Media, Bashir Ahmad made this known in a couple of twitter posts on Tuesday. In the first post, Bashir shared a video of Namadi arriving Aso Rock villa. The meeting took place inside the President’s office, and lasted for about 25 minutes. The full outcome of this meeting is yet to be announced. Sambo tacitly told journalists when quizzed about the meeting that it was a private visit. An hour after, Ahmad posted again that Sambo is in a closed door meeting with the President and vice.